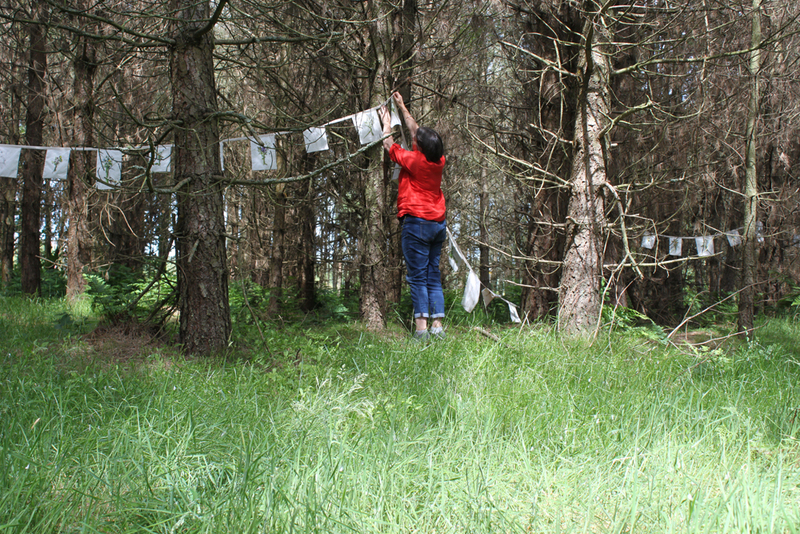 Experimenting with installing my ‘Votive Offerings’ prayer flags in the woods, I am creating an installation called ‘Prayer’ to include in my October exhibition at The Meffan Gallery in Angus. I’ve had fabric printed with my first 50 votive posies and then made this into Prayer flags. Each flag has a different posy on it, they are my version of a Tibetan prayer flag. 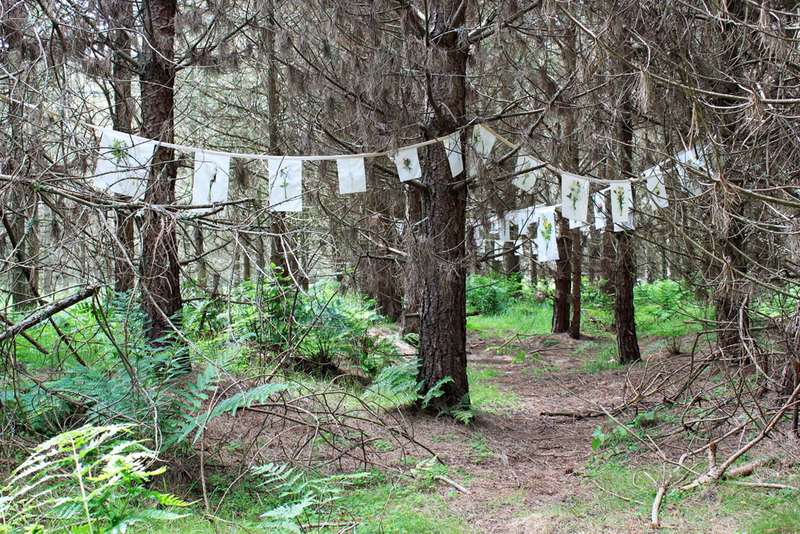 Tibetan prayer flags are traditionally used to promote peace, wisdom, compassion, and strength. It is commonly thought that prayer flags offer prayers to God. They do not. Tibetans believe the wind will blow the prayers and mantras in to the surroundings, spreading goodwill and compassion.